Implementing a web application to solve a business need is one of the biggest commitment a business can ever make. And if the business web application is going to be used throughout the organization then the commitment is even bigger. Ideally any business would want such web applications to support their business needs for years to come. And this is the reason why most of the businesses will evaluate a business web application thoroughly before deciding to buy it. 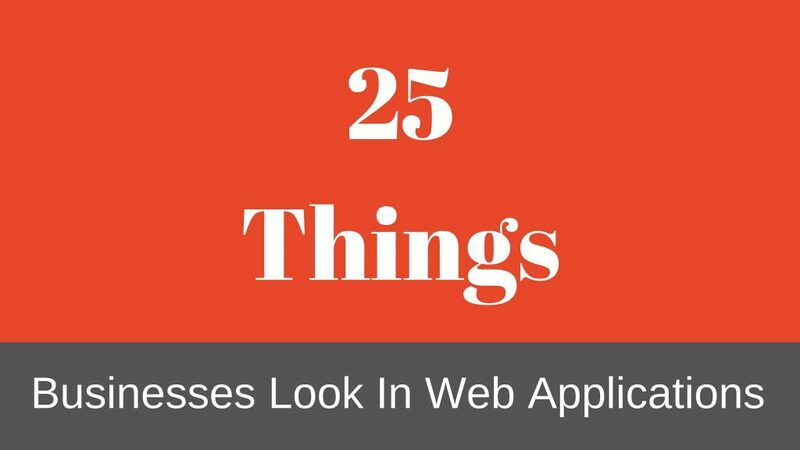 In this post I am going to cover 25 important things that I have found businesses looking at while evaluating to buy any business web application. Any web application that is designed to be used for businesses will typically solve a particular problem for the business. For example, a Project Management application will help the business to manage and track different projects while an application for Time Tracking will solve the problem of tracking employee times. The bigger the problem solved, the bigger value it adds to the business. 2. How Does It Solve That Problem? Apart from what problem gets solved, most of the businesses will also take a good look at how the problem is being solved by the application. A web application that is cumbersome to use will find few takers. Also a web application which takes lot of maintenance may get discarded right away. I was once involved in evaluating an application that was supposed to create production schedules for manufacturing lines. It solved a painful problem of under optimized production runs for us by optimizing the production schedule so that every machine ran with optimum utilization. However to create a production schedule, that application needed us to import billions of records from our existing ERP application into its database every day. That was because there was no out of the box integration provided by that application with our ERP system. What did we do? We dropped the idea of buying that application. Simple! 3. How Much Money Will It Save? What’s the use of a web application that does not save money for the business? The bigger the savings, the better the chances are of that web application being bought. Oracle Product Hub saves lots of money for businesses by maintaining product data. 4. How Much Time Will It Save? Similar to saving money, the web application must save time for the business. Who wants to take up another time consuming activity? Basecamp saves lot of time for businesses by helping them track the progress of various projects. 5.What Process Does It Automate? Many times businesses implement an application to automate a process. They are not looking to solve a problem. The more tedious a process is it to automate, the better. Inventory Management applications help to automate the process of keeping track of finished goods inventories. Such applications help to automate the tracking of inventories which otherwise would have to be done manually. 6. How Will Users Access The Web Application? Some businesses will need the web application to be accessible by users from all types of devices. Usually this is not a problem from web applications because they run in browsers but for mobile devices with smaller screens they can be very tedious to use. In such cases, businesses might want a mobile application to be available apart from the standard web interface. 7. How Closely Does It Relate To Our Industry? Believe it or not, businesses do take a look at how closely the web application relates to their industry. For example, big retail outlets usually use data sync pools like GDSN for managing the product data between them and their suppliers. So it is quite common for such businesses to look at web applications that closely relate to retail and can support GDSN syncing. In such cases, a generic data sync web application will never get purchased. 8. Can It Support Existing Processes? It is very important that the web application being evaluated support the other existing processes as well apart from the one it is designed to support. Businesses are usually finicky at implementing an application that stands alone. I once implemented a web application whose primary aim was to store all the documents pertaining to the various projects that were taken up by the company. But some documents had to undergo various approvals before being approved for the project. So the natural ask was to support the approval of the documents as well within the web application apart from maintaining the documents. 9. How Much Effort Is Needed To Implement It? It is quite common for businesses to estimate the time it will take to make the web application fully operational in their organization. Any application that is designed to support complex business processes like maintaining product data, supporting product costing processes, etc., do take months to implement and businesses are aware of that. However simple web applications that are just supposed to send e-mail notifications will not be expected to have high implementation timeframe. 10. How Secure Is It? Security of data is of utmost importance to every business. If the web application lacks to provide data security then its chances of getting rejected are very high. After all no business wants its confidential data to be accessible by general public. 11. How Much Maintenance Will It Need? No matter how good a web application is, its chances of being rejected are very high if it needs high level of maintenance. No one wants to deploy a large team to just maintain one web application. The only exception to this are ERP applications which actually need quite a bit of maintenance to keep them running. But then, typically these applications cater to the entire organization’s business needs and not just a few small business needs. 12. How Administrators Will Maintain It? It is very essential for business web applications to provide an interface for administrators to carry out essential administrative tasks. It’s an overhead for businesses if the application demands to touch the code or database to perform basic administrative tasks. 13. Does It Integrate With Existing Applications? Most of the business web applications are expected to integrate with other existing web applications. No business will ever want a web application to operate on its own without integrating with other existing applications unless it is a trivial application being used for a very small business need. 14. Does It Provide A Way To Customize It? There are rarely any business web applications that get implemented by businesses without being customized. Businesses will typically take a look at the level of customization that is provided by the web application out of the box. Some web applications allow high level of customizations to be done without even touching the code. While some web applications provide a wide range of APIs and web services for customizing them. This brings me to the next point. 15. How Much Effort Is Needed To Customize It? If customization is needed, then it is quite obvious that businesses will estimate the efforts to customize it. If it is absolutely necessary for the business to customize the web application and the efforts needed to do it is very high, then it is very unlikely that the web application will get purchased. 16. How Scalable Is The Application? Scalability is something every business will look at. As the business grows and the need to maintain the business data grows, businesses will expect the web application to scale accordingly. I was part of the team at PTC that developed the Windchill Aerospace and Defense Module. One of the customers of this application was NASA and they ended up maintaining the entire assembly of a space shuttle in that application. Imagine an assembly of thousands of parts being pushed into an application. It was great to see that the application scaled to accommodate that big an assembly and all of its related data. But I personally had never imagined the application to be used for such a use-case. Do you think any business will invest any money in a web application whose performance is below par? In the fast paced environment that we live in, performance of an application is expected to be high. 18. How Many Users Can It Support? This point is somewhat similar to the above points on scalability and performance. Businesses typically take into account the number of users that will access the application and will expect the application to support those many users. Believe me or not, I have seen applications which are not at all designed to support even 100 users. 19. Does It Support Multiple Languages? Many businesses that have operations in various countries will want the application to support multiple languages. It does not make much sense for such businesses to invest in applications that do not support multiple languages. Many businesses just need the applications to be accessible. This is particularly true for businesses that support employees with disabilities. Some countries even mandate the application to be tested for accessibility before it can be sold in that country. 21. What Are The Hardware and Software Requirements? It is quite common for businesses to look at the hardware and softwares that will be required to run the web application. Taking this into account gives the businesses an accurate estimate of the cost involved in implementing the application apart from the licensing cost of the application. 22. What Support Does It Come With? A business web application that does not come with support from its manufacturer will not find many takers. As much as it is important for businesses to know how they will have to support the application, it is also very essential for them to know the level of support the manufacturer will provide. After all no one wants to end up with an application that has lots of bugs. With the technology changing so fast around us, it is obvious that businesses will look at the kind of upgrades the application manufacturer will provide. It doesn’t have to be free upgrades. Businesses are usually ok with paid upgrades too. But they just need assurance that the manufacturer will continue to upgrade the web application. 24. What Are The Licensing Requirements? Almost all businesses will take a detailed look at the licensing requirements of the application and will adhere to them. It is very unlikely for them to break any license terms knowingly. Many applications like Windchill are licensed on the number of users using them. But there is no validation in the software itself to cross-check if the business has created more number of users than what is licensed by them. Even if this is the case, I have not seen any business take unfair advantage of this. 25. What Is The Price? I kept this point in the last for a reason. Usually businesses do not mind paying for applications that satisfy their need or solves a problem for them. Cost of many enterprise wide web applications run into millions of dollars and yet businesses are happy to pay for them. But it doesn’t mean that a high priced web application will be bought for solving a smaller business need. Choosing the correct business web application is a difficult and time consuming task. There are many things that businesses look for in a web application before they make the purchasing decision. And so the design of the business web applications need to be done with a lot of thought so that every aspect of the business need gets satisfied with the web application. 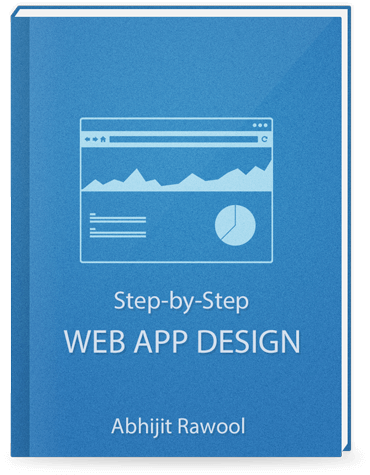 If the design of the business web application stands out then the chances of it getting purchased becomes that much higher.